Here goes a short and random blog post which I’m trying to squeeze in during the half-time break of the Atlanta – Washington game as I’m writing this. What was lost, as trivial as it might be, during last night’s San Antonio – Clippers game (one for the ages) was the fact that TNT didn’t air its side-line interview with a coach before the second quarter. The so-called “guys in the truck” went with an unbelievably random graphic instead. The coach in question, of course, is Gregg Popovich who had an extra-grumpy series even for his standards by averaging 5.41 words per one question (65 words for 12 questions as question 13th and 14th weren’t aired). For comparison, Randy Wittman just answered Lisa Salters’s first question (“What was giving you problems defensively?”) with an incredibly long monologue of 55 words, full of coach-speak and phrases like “it’s a long game, we gotta keep fighting, keep going at it”. I’m quite sure that Popovich’s 65 words in a 7-game series is more of an unbreakable NBA record than Wilt’s 55 rebounds in a single game. That’s unless Moses Malone ever becomes a coach and mumbles his way through a post-season run. Consider that a fact from the LamarMatic Sports Bureau. Here is a compilation of all of Pop’s interviews from the Clippers series. So why the discarding of the game 7 interview? My theory is that Pop was so bad that they couldn’t air it. I remember Ric Bucher coming on Bill Simmons’s BS Report and telling a story of Popovich being so laconic that his producer made the decision not to give the interview the light of the day. If I recall correctly, it was told on this specific podcast, which for some reason can’t be played on ESPN’s podcenter and which I can’t find in my own archives anymore. It would be cool to hear the pod to confirm my memory and track the specific game down though (at least for the five people still reading). So, yes, we might have seen the last of Tim Duncan and Manu Ginobili. I, for one, felt devastated when seeing Duncan walk down the tunnel to the locker room in what could have been his last NBA game. If it hadn’t been 5AM in Latvia and I wasn’t watching the game during a graveyard shift at work which renders me a sleep-walking and pissed off zombie, I might have shed a tear or two. 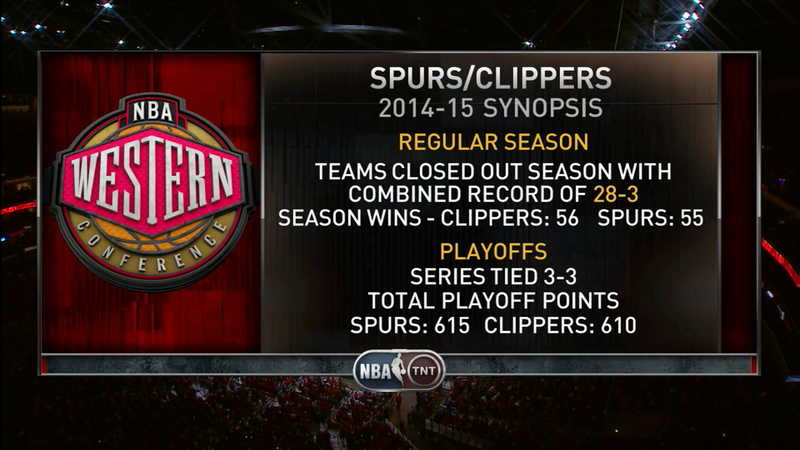 But, hey, at least the Spurs produced a historically taciturn Gregg Popovich series. This entry was posted on May 3, 2015 by ReinisLacis in Around the NBA and tagged Gregg Popovich.